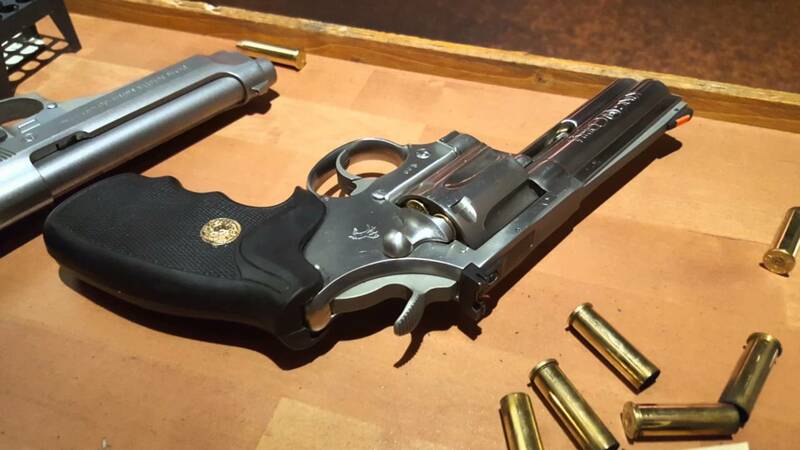 Last year, Colt brought back the Cobra revolver in .38 Special. This year, they have brought back the King Cobra. The King Cobra is essentially a larger framed version of the Cobra, and it’s chambered for .357 Magnum. The matte stainless steel finishing and grip are virtually the same as the original Cobra. Colt was well known for making some of the finest revolvers the world has ever seen, with classic such as the Colt Python, Detective Special, and original Cobra and King Cobra revolvers. 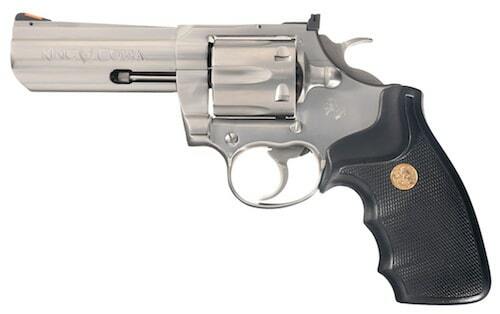 After being out of the revolver business for more than two decades, Colt announced the re-release of the Cobra revolver. This revolver was different from the original Cobra, as it has a re-designed look, with hogue grips and a stainless finish. It also holds 6 rounds of ammunition in contrast to the more common 5 of the Smith & Wesson J-Frame. As noted above, the King Cobra is simply a larger Cobra chambered for .357 Magnum, which means it can also shoot .38 Specials. Currently, the King Cobra is only available with a 3-inch barrel (though that may change in the future) and has an MSRP of around $899. The King Cobra would be a good choice for home-defense, casual plinking, or as a sidearm to pack in the woods. But of course, the big question is this: when will Colt re-release the Python?